It's sad to see Shippaiman go but Toei Ltd. announced it was just going to be a mini-series. The final episode "Shippaiman's End" managed to get a lot of views. 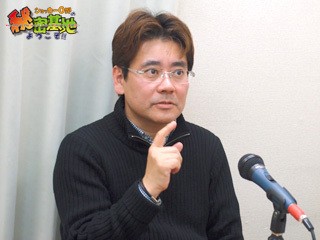 Actor Osamu Sakuta said, "Shippaiman the mini-series was probably the best short series Toei ever came out with. But don't worry we'll still have two Shippaiman movies coming out. One is a Shippaiman/Kamen Rider crossover and the other will be a Shippaiman/Zyuohger crossover. Be ready for those two movies." The final episode involved the Winsbraindraft team leading the rebellion. During the final episode, Shippaiman and Noopaiwoman get into an actual action-filled finale fighting against Takeru and Jules. The rest prepare to oust the incompetent Prime Minister Nobita along with all his cohorts. Due to their incompetence and the newly awakened Japanese people, they all literally throw the lousy parliament into the trash can. 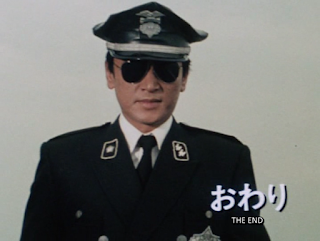 Captain Masaki realized that fixing Japan will be a long step. Just then, reports of the Nobita Administration smuggling Marbobo cigarettes into China came in. It's revealed that both Keiko and Lily pleaded guilty concerning smuggling the narcotic known as Marbobo. To free Japan, the Japanese people exile President Nobita and his whole cabinet in chains sending them to China where they may possibly meet execution. They are put on a boat where they're sent to China whole and intact. The final episode has the Winsbraindraft team getting ready to reorganize. Captain Masaki realized that he's not getting any younger so he appointed Takeru to replace him. In Paris, one can see that Matoi and Carter are now officially forming their new organization called Lightspeed Police to combat terrorist threats. A later scene can be seen where Jules and Takeru can be seen holding hands implying that they've become a couple after the events of the show. Takeru can be seen with a new bunch of rescue workers. Captain Masaki can be seen spending time with his children and grandchildren with a smile on his face that he's left a new legacy behind.